Unfortunately, pedestrian-versus-vehicle wrecks are more common than you might think. I've seen all kinds of pedestrian-car accident cases, from bikers on the road to children crossing crosswalks to pet owners walking their dogs. For our client Emily, it was a scooter versus an 18-wheeler. Emily was waiting to cross the street on her scooter in Fort Worth when a big rig attempted to make a turn in front of her. Instead, the 18-wheeler driver missed his turn and ran Emily over. 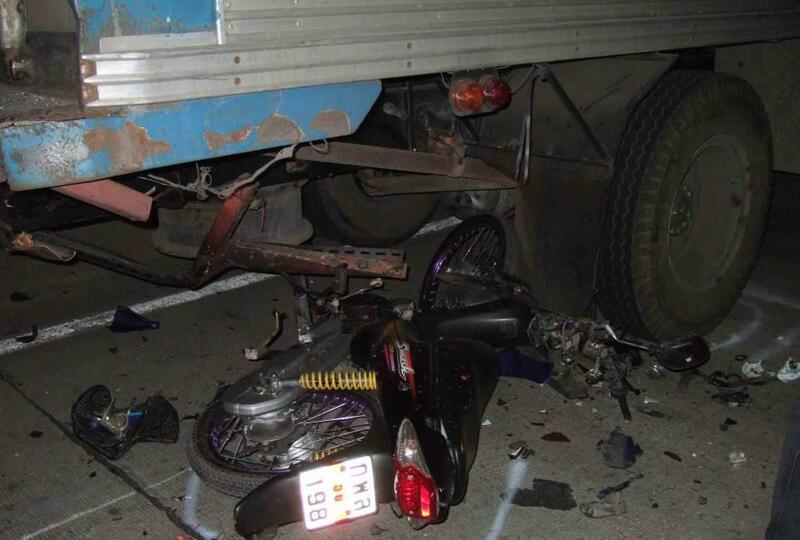 Emily and her scooter were dragged beneath the back wheels of the trailer before the truck driver even noticed. Emily was rushed to the hospital and after intensive treatment, the doctors knew they had to amputate her leg. Emily came to us a different person than she was before the wreck. She felt like the trucker had stolen a piece of her life. Her mobility, her happiness, her self-image and her health were all damaged in the accident. We're glad she came to us. Not only did Emily deserve money to pay for her medical bills, but she also deserved compensation for her pain, suffering and loss of life enjoyment. We were prepared to fight to win her that compensation. Read more about Pain and Suffering Damages and the Law in Texas. We immediately filed a lawsuit against the trucking company. We were firm and aggressive in our actions, and we fought hard to win Emily the money she deserved. While no amount of money will ever bring back Emily's leg, our aim was to win her a verdict that would cover every penny in past and future medical expenses, as well as to compensate her for her injuries, both mental and physical. In the end, we successfully obtained $850,000 on Emily's behalf.